Magical Bali in Indonesia is the island of a thousand temples. Each Balinese temple or pura is unique and beautiful. The different architecture of the temples in Bali easily catch the attention. 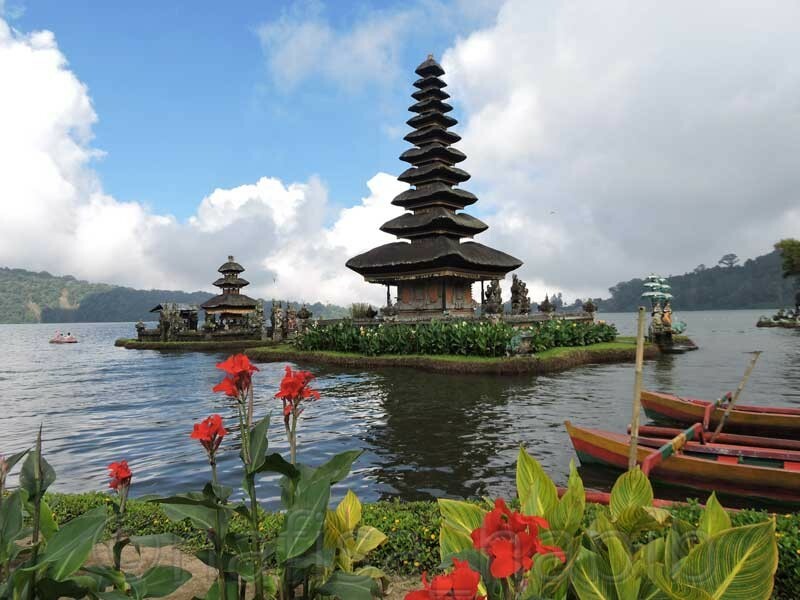 Sea temples to water temples and village temples all carry the cultural and traditional value of Bali. 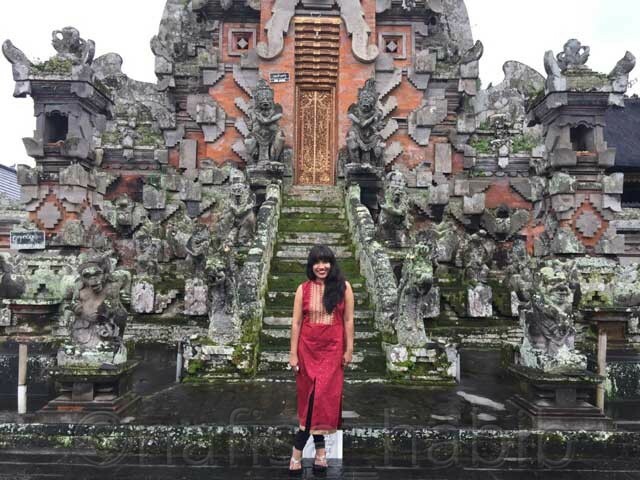 During my solo trip to Bali, I visited some popular and beautiful temples. 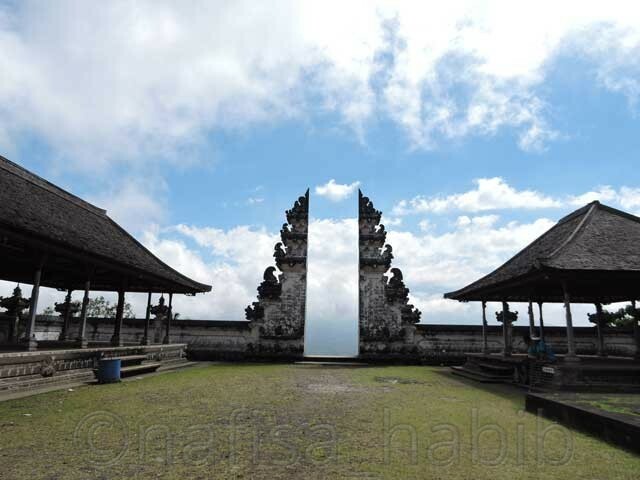 The following top 5 beautiful temples in Bali are must-see and significantly worth to visit. 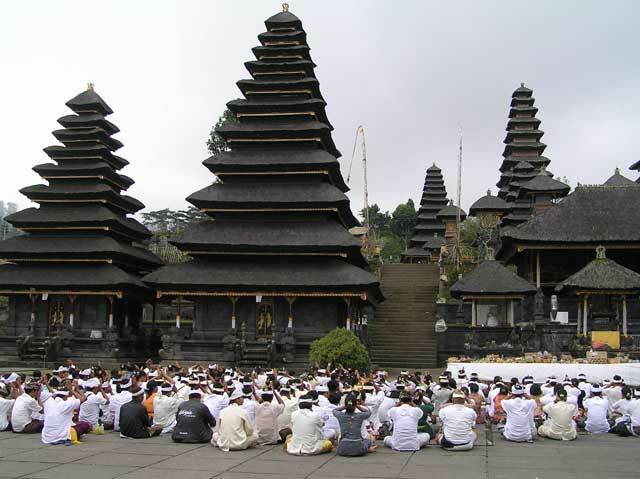 All temples in Bali are Hindu ancient temples and recognized as ‘Pura’. The colorful and decorative gates of Balinese temples are beautiful and iconic landmarks. There are many types of Balinese Pura. Some became popular among tourists. 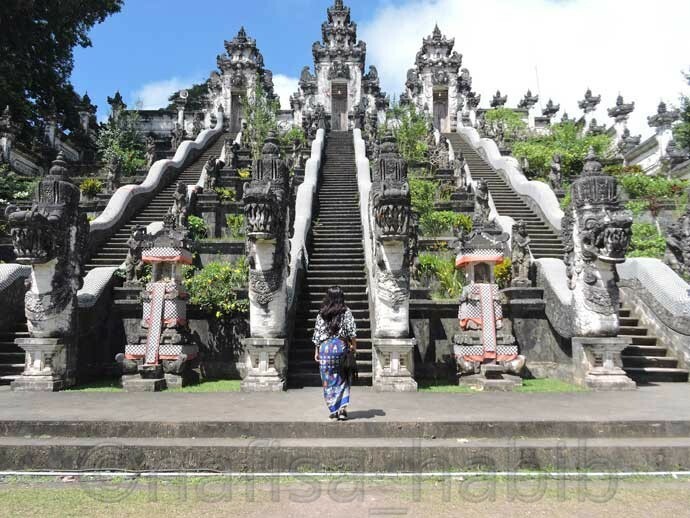 But the types of Pura Segara (Sea Temple), Pura Tirta (Water Temple) and Pura Kahyangan Jagad (Mountain Temple) are the most beautiful temples in Bali. 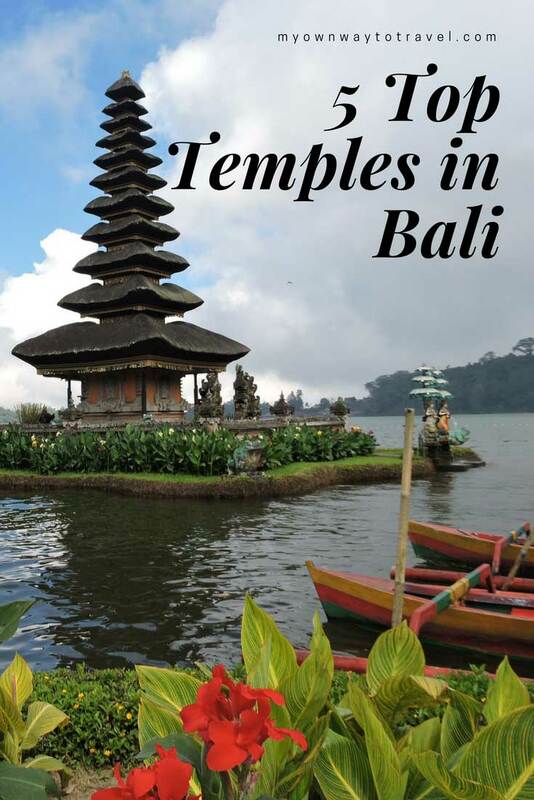 1.6 Click To Save Must-Visit Top Temples in Bali To Your Pinterest Board! The best time to visit many temples in Bali during temple anniversary ceremonies and different festivals or events. Balinese temples are sacred destinations and so remember to be with the proper outfit. Sarong or Sash is available to buy, or you can rent to wear before visiting any temple in Bali. Temples in Bali are not free for visitors like temples in Kuala Lumpur, Malaysia. You must have to collect entrance ticket to visit. Pura Ulun Danu Beratan is the most beautiful water temple in Bali. The sacred water of the Beratan Lake has increased the beauty of the temple and the entire area which is 1200 meters above the sea level. Ulun Danu Beratan Temple located in Bedugul, North Bali. This temple is built in the 16th century and to worship three God namely Brahma, Vishnu and Shiva. During temple ceremony offerings given to Dewi Danu or Water Deities for increasing the fertility and prosperity of nature. The best part to visit this temple is to enjoy the most picturesque landscape and the peacefulness atmosphere. Furthermore, don’t miss to visit early morning to watch the beautiful sunrise. And boating on the Beratan Lake is must-do to explore the extraordinary beauty of Beratan Water Temple. Pura Tanah Lot is the most beautiful sea temple on the rock surrounded by the Indian Ocean in Bali. 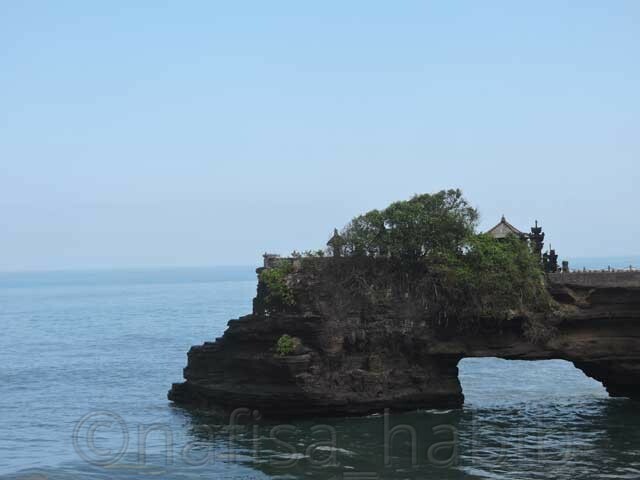 Tanah Lot is also a top-rated tourist attraction in Northwest Bali. Tanah Lot Temple built in the 16th century and to worship Sea God and Goddess mainly Dewa Baruna. Many also love to worship Nirartha, a Hindu priest who first came up with an idea to build this temple. The best time to visit the temple during low tide in the afternoon or evening. During high tide, no one is allowed to enter the temple due to the safety reason. The best part to visit this temple is to enjoy the most picturesque landscape of the spectacular Indian Ocean. It is too interesting to see how the sea water waves keep on crashing onto the rock. And also don’t miss to watch the beautiful sunset. Balinese Kecak and Fire Dance are also possible to enjoy from Tanah Lot. Pura Luhur Uluwatu is another scenic and popular sea temple in Bali. Uluwatu is a rock cliff (70-meter-high) temple surrounded by the Indian Ocean in South Bali. Pura Luhur Uluwatu or Pura Uluwatu is one the ancient temples built in the 10th century. This temple dedicated to God Rudra for protecting Bali from bad spirits. There are also many monkeys here. And it is believed monkeys works as a guard to keep temple safe from the evil eye. The best part to visit this temple is to enjoy the most picturesque landscape of the spectacular Indian Ocean during sunset. 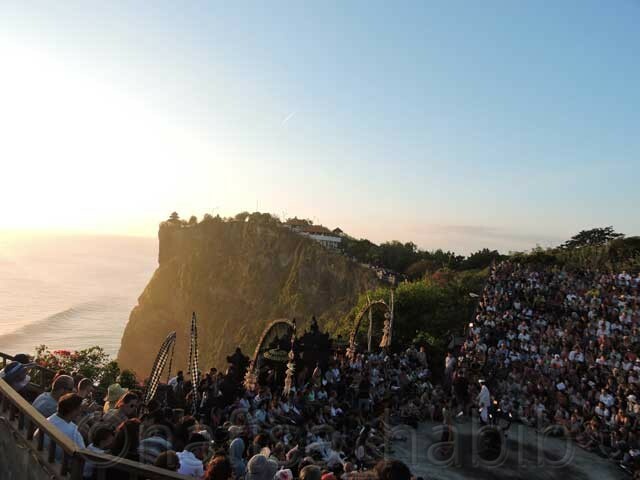 And also you should not miss the unique Kecak and Fire Dance performance by Balinese artists at Uluwatu Temple. Pura Lempuyang Luhur is one of the ancient mountain temples in Karangasem, East Bali. The iconic temple gate is popular as Gateway To Heaven. Here the mountains worshipped as God for protecting Bali from bad spirits. This temple is 1,175 meters above the sea level and built on the Mount Lempuyang. There are few temples inside Lempuyang Luhur Temple. You have to pass almost 1700 stairs to reach the top of the Lempuyang Temple. To get the extreme scenic views of the mountains you have to hike or trek. The best part to visit this temple is to enjoy the breathtaking mountainous view while hiking. Pura Besakih is the largest and the most sacred mountain temples in Bali. Besakih is the Mother Temple of Bali Island for 1000 years. The temple is also one of the most popular tourist attractions in Karangasem, East Bali. Besakih Temple is 1000 meters above the sea level and built on the Mount Agung. There are more than 80 temples inside Pura Besakih. Many festivals and ceremonies always held at the temple ground. Be careful sometimes force tourist to take tour guide while collecting entrance ticket. And also ask for extra money from the tourists as tips. Therefore, early morning is the best time to visit the temple to avoid such an odd situation and more crowd. The best part to visit this temple is to enjoy the breathtaking view of Mount Agung. Top 5 beautiful temples in Bali are must-see to explore the Balinese culture and tradition. Will you like to recommend any other Balinese temples to visit? 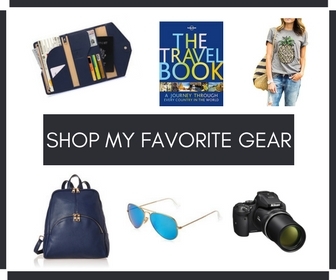 Click To Save Must-Visit Top Temples in Bali To Your Pinterest Board! So jealous! dying to visit here 🙂 Never been the this part of the world! I’ve been seeing so much about Bali lately that it’s made me want to go so bad! Thanks for this post, I’m adding it to my file for when I get the chance to go!! The Gateway to Heaven picture is my favorite. It’s so cool! They all look so gorgeous – I hope to visit one day and see them for myself. Everything looks so magical – your photos make me want to go even more! Wow! These temples are beautiful! Never been to Bali, yet, but I’m dying to go. Wow! Never knew that Bali has such beautiful temples! Now I am tempted! thanks for sharing! You are right! Each temple is unique and, in a way, that is an incentive to visit as many as possible. It is not only the architecture but the surrounding. Some of these places look very peaceful. I didn’t realize there is a charge to visit this places. Good to know! Yes Ruth, the surrounding is so peaceful. All credit goes to nature and the unique architectural design of Bali puras! Bali is so on my bucket list!! I love your post and that Ulan Temple looks so amazing! I also love love your outfits in these pics!! Thank you so much for all love, Valerie 🙂 Yes, Ulun Danu is truly amazing. I wish you visit soon. Always wanted to explore Bali and visit the temples there. Your photos are stunning and make me want to go right away. Love it. Been wanting to go to Bali for the longest time! I know they have wonderful beaches but I didn’t know they have all these beautiful temples. Now I really want to go! Great photos too. Wow, Nafisa your pictures are looking awesome. Every year so many tourist lovers come to Bali and spent their vacation with family and friends. 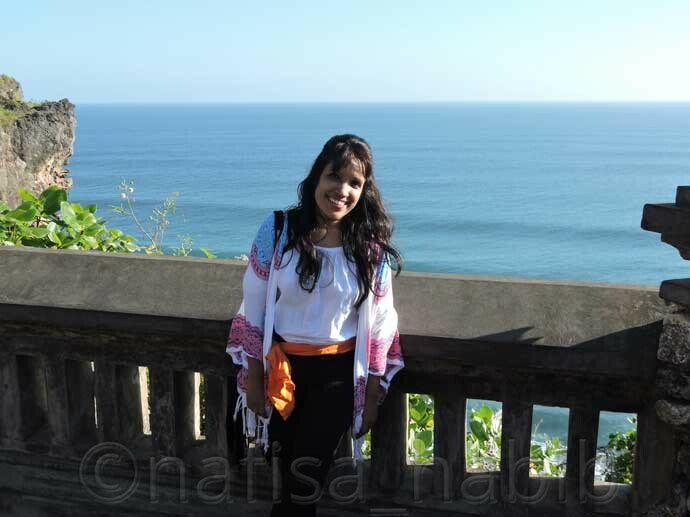 Last year I also had gone to Bali and other famous places in Indonesia through a famous travel agency company. They take care of me at visiting time. Thank you! Yes, there are many agencies do that so. Good to know you visited Bali and explored also many places in Indonesia.